In Rome, if you want to know if someone is telling the truth, you just have to make him put a hand inside the famous Bocca della Verità (Mouth of Truth) and wait for the verdict. Regarding to the legend, the mouth slams shut and cuts the hand of those who lie. Although it is part of a legend, everyone who visits the Bocca della Verità conforms the tradition. Besides being popular for this famous legend, the Bocca della Verità started gaining more popularity after the release of the movie ‘Roman Holiday’, stared by Gregory Peck and Audrey Hepburn. The film was shot in different places of the city, such as the Roman Forum or the Colosseum. The most representative scene is in the Chiesa di Santa Maria in Cosmedin, where the Bocca della Verità is located, and where Gregory Peck explains Audrey Hepburn the story of this sculpture, which was a manhole cover in the Ancient Rome. 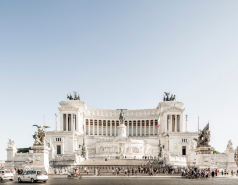 For a reason or another, this sculpture is one of the main attractions of Rome, and a must-see with which tourists have to take a picture while they put their hand in it. The 24 and 48-hour hop-on hop-off tickets of Roma City Tour allow you to reach this sculpture, placed in the portico of the Chiesa di Santa Maria in Cosmedin. 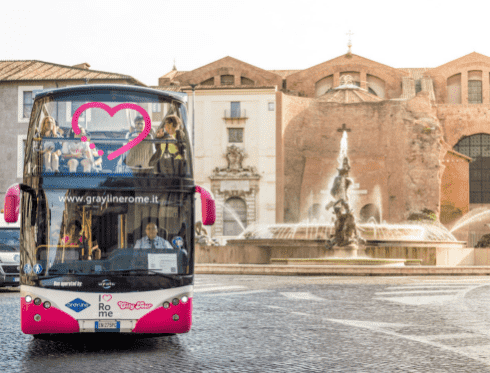 You will only have to get off the bus at the stop 4 of the route Feriali or the route Festivi (Circo Massimo). Once you have seen this sculpture up close, you will be able to continue your tour around the city with our tourist bus. 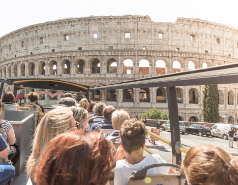 If you want to see the most famous manhole cover in the world, do not hesitate, get on the official panoramic bus of Rome and enjoy the spectacular views from it.